TidalFit Exercise Pools are ideal for families looking for an alternative to a full-sized backyard pool. The more cost-effective TidalFit not only delivers many of the same features as a regular pool, but is also much easier to maintain. Temperature control keeps a TidalFit Exercise Pool in use all year round. An ideal backyard solution for family amusement. As a tool for fitness, health and well-being, the swimming and water resistance exercises possible in TidalFit Exercise Pools benefit people of all ages. These low-impact, high-resistance exercises are ideal for achieving general fitness while avoiding injury. Get healthy in the convenience and privacy of your own backyard. Great for relaxation or family fun. A pool, hot tub and aquatic gym all-in-one! 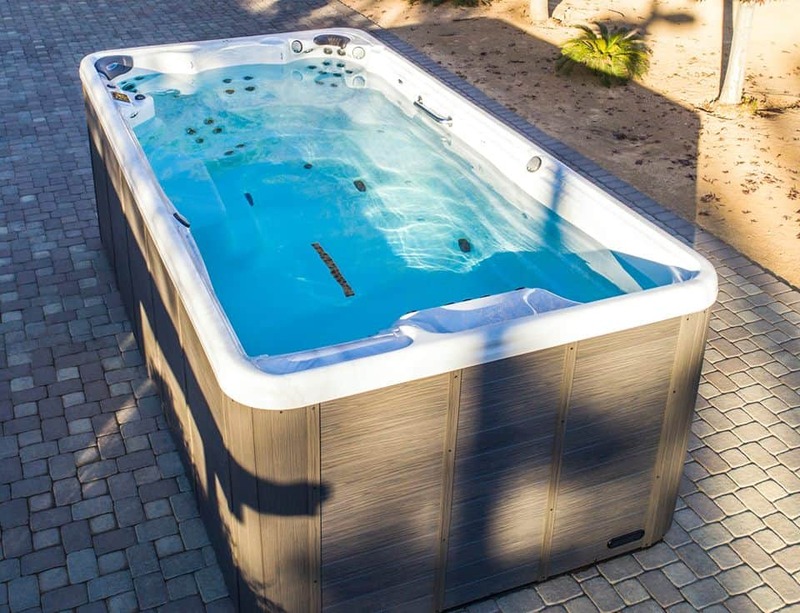 Have all the benefits of a full size pool with less cost, less space and less maintenance. It meets the needs of both fitness enthusiasts and those wanting an alternative to a traditional swimming pool for fun and relaxation. For more information, come in to our showroom or click the logo below.